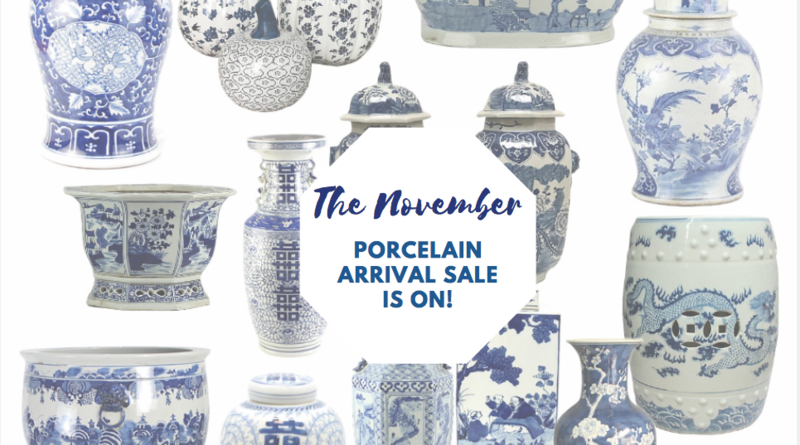 Our two day porcelain arrival sale is on and a giveaway! Hi friends…it was exciting to get our latest container in about a week ago, we are always like kids in candy shop oohing and ahhing over all the new pretties! All presale orders have shipped and as we always do, we hold a two day arrival sale. Some items, we only have 1 or 2 left of and a few we are sold out but there is plenty to go around so today is a great day to take advantage of special savings before these go online for their normal selling price. Everything shown is in stock and ready to ship! ITEM 6.SOLD OUT THIS ITEM IS SOLD OUT BUT COMING BACK ON OUR LATE NOVEMBER CONTAINER. YOU CAN PREORDER ONE NOW WHICH WILL GUARANTEE YOU ONE WHEN THEY ARRIVE. ITEM 7. Finally got these beauties back and ordered plenty to be sure we do not sell out! This incredibly elegant scalloped planters are my all time favorites. Everything about them, from the scalloped profile, to the pierced base and the handpainted panels is just the height of elegance. Gorgeous for orchids or any holiday flower/plant. Truly spectacular. 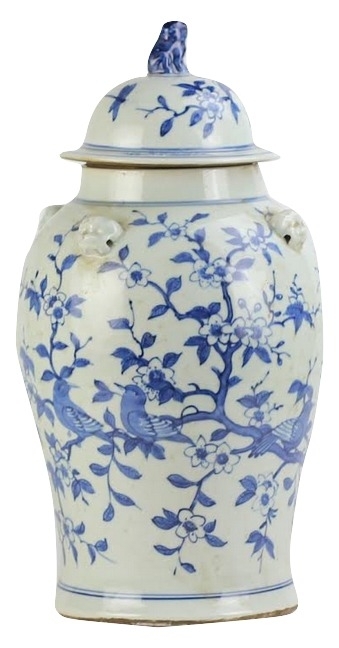 ITEM 18 SOLD OUT **WE ARE GETTING 6 MORE OF THIS JAR IN OUR LATE NOVEMBER CONTAINER, YOU CAN PLACE A PREALE FOR THIS ITEM WHICH WILL GUARANTEE YOU ONE WHEN THEY ARRIVE LATER THIS MONTH. ITEM 20 Pumpkins! These are just arriving as of today, all presale orders are shipping out Wed and Thursday. Once those are all shipped, we will start getting out the arrival sale pumpkins. These are officially for sale, and let me tell you they are fabulous. What a beautiful tribute to fall to bring out every year (or be like me, and keep them out year round)! I plan to add one or two new pumpkins to this beautiful pumpkin family every season. These come in their own white Enchanted Home gift box with logo….perfect for gift giving! We always offer up a giveaway to celebrate a new coming container. One lucky winner will win their choice of these wonderful pen/brush/utensil holders. Choose either lotus or figurine. A winner will be announced on Thursday. Leave a comment on this post telling us your favorite item and you are in the running! That’s a wrap for today. Thanks for stopping in, wishing you a fantastic day and hope your week is off to a great start! Can you believe its the last week of October, s c a r y! Time is going by way too fast, where is that pause button when we need it! Until next time……………. Mid-Size Fishbowl is the perfect size for indoor & outdoor boxwoods! 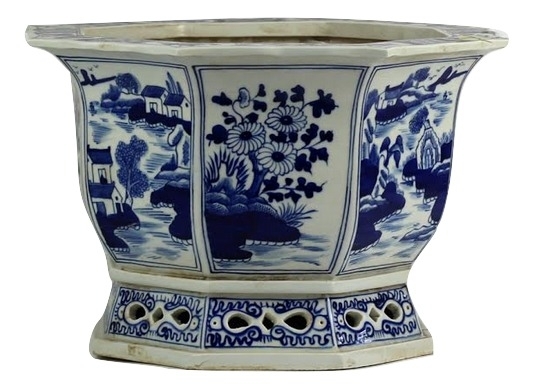 The village scene bowl is lovely, and I need a large fishbowl! Good thing the holidays are coming…have to put them on my wishlist for Santa! once again drooling. 🙂 I know now what’s on my xmas list. My favorite item is the village scene bowl. I might have to treat myself for Christmas! Always lovely. And i was just saying aren’t those adorable cups, I don’t remember seeing those before! I want one of the cherry blossom fishbowls for my dining room table, please. It’s my favorite. I’ve been a good girl! 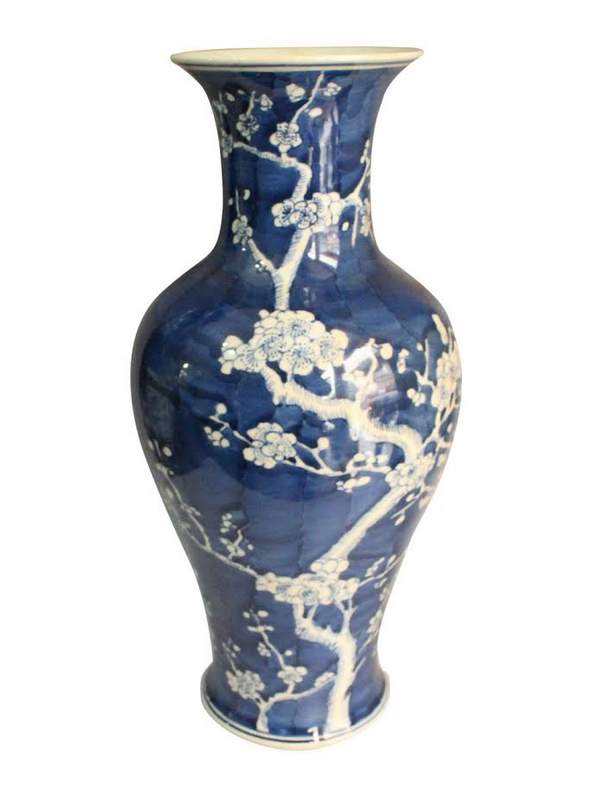 I love the navy cherry blossom vase….an early Christmas present for me! The large fishbowls are awesome! Numbers 11 and 13 are my favorite, but they are all beautiful! I’m with you. I love item 18. Beautiful and so classic! 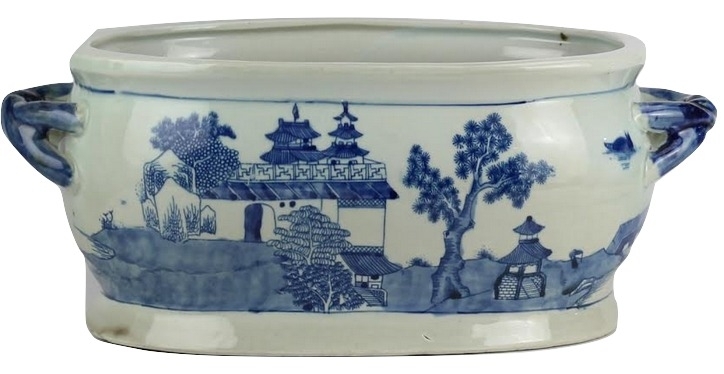 #14 is a beautiful piece, as are all the lovely containers. Good job. 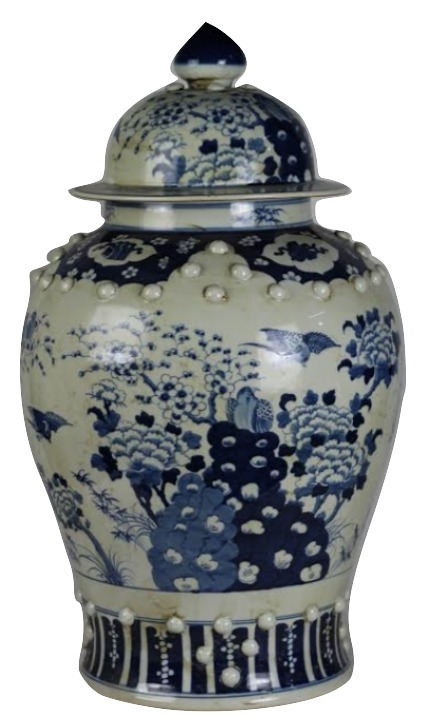 The navy cherry blossom vase is stunning….so much so that I am buying a pair as a belated birthday present to MYSELF!! I choose the scalloped planter (7b) for my credenza and the Lotus brush holder if I win. Ooh! I love item 13. The peacock design is gorgeous. I love everything especially Jar #10. But it’s so hard to choose a favorite! 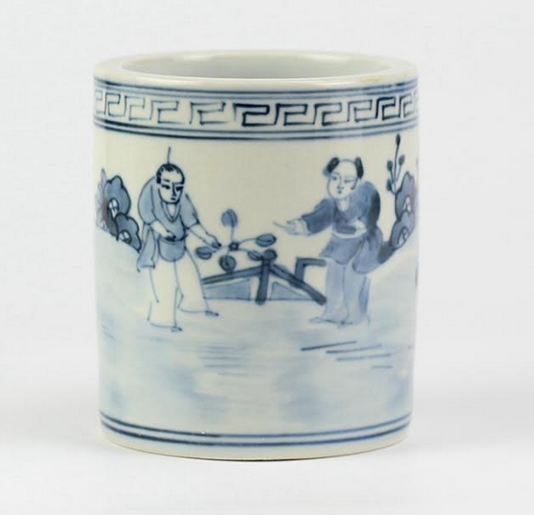 Absolutely love all of your blue and white hand painted ceramics! I love the lotus cup! The pumpkins are something I can’t get enough of, they are so clean and sleek! BUT, The little cups stole my heart. 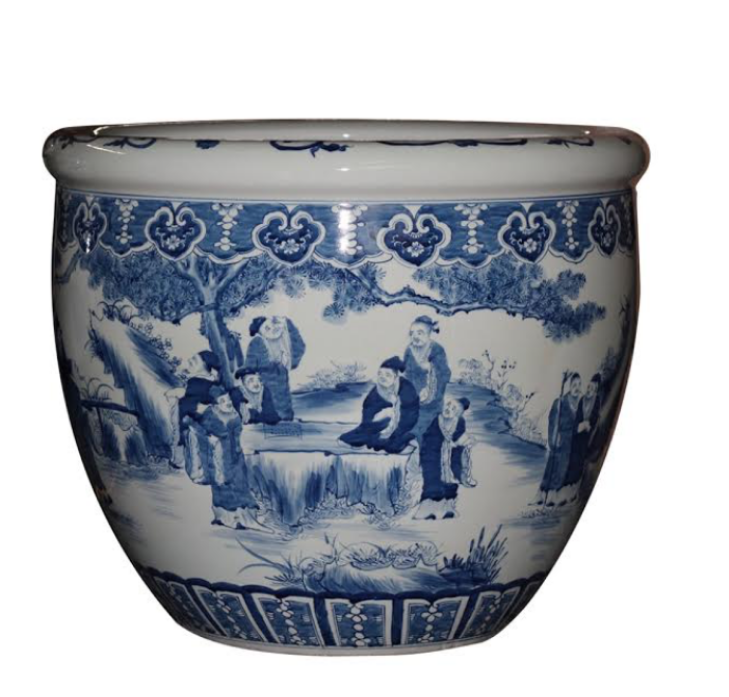 Can you imagine these with 3 sprigs of lucky bamboo growing out of them as a Holiday gift! Oh My. 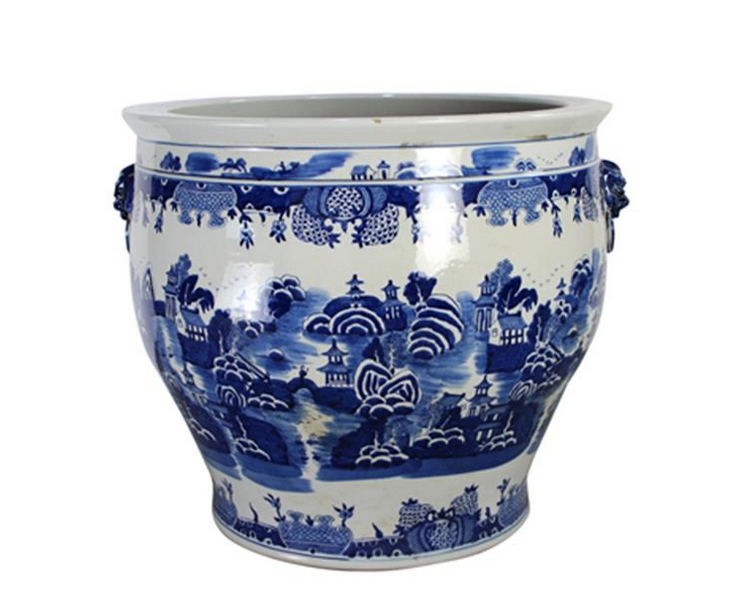 My heart swoons for item 15, the jumbo fishbowl planter. Would love to have one in my dining room for a tall tree. It’s stunning! 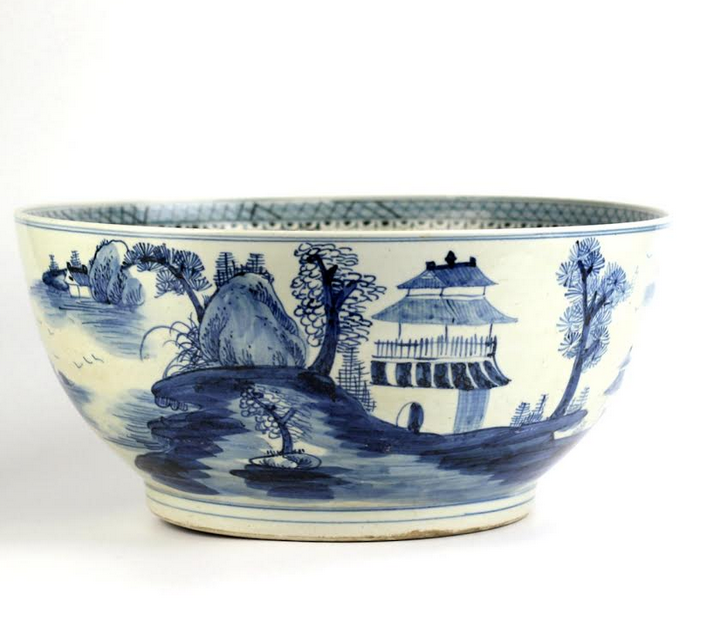 Item 6, the large bowl, is always a favorite!! Though, everything is lovely! Love the Garden Seat and all the beautiful Ginger Jars! 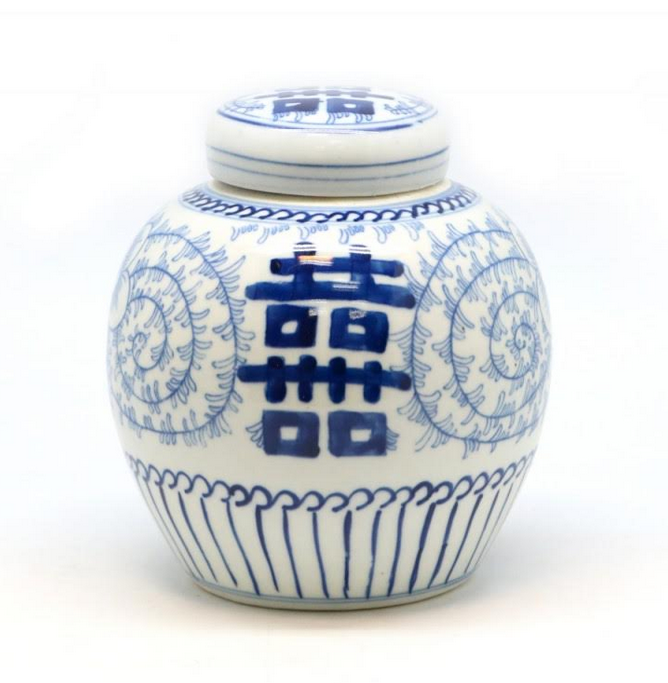 I love the ginger jar that evokes ginger jar envy! It will have a special place in my home. Love all the blue and white. If I had my pick it would be number ten. I just love a foo dog and think this is just as cute as it gets. Once again everything is wonderful. 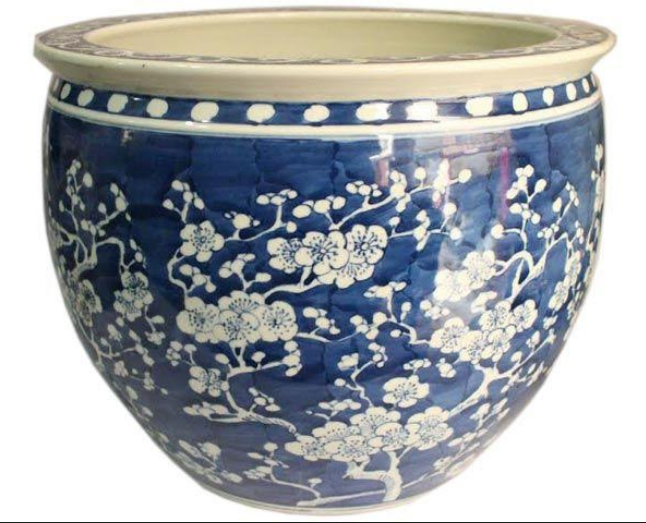 Picturing the gorgeous Cherry Blossom fish bowl in my sunroom with a Topiary ball to top it off! I love the darling pumpkins and would choose the lotus cup if I win. Thanks for providing this giveaway! 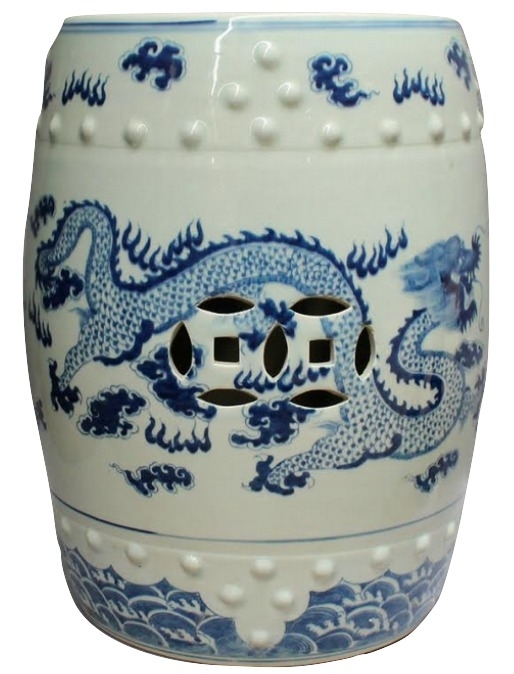 My favorite is the double happiness jars! I love the floral utensil holder. My favorite items are the new Fall pumpkins! I love them, you cannot find anything like them anywhere else. 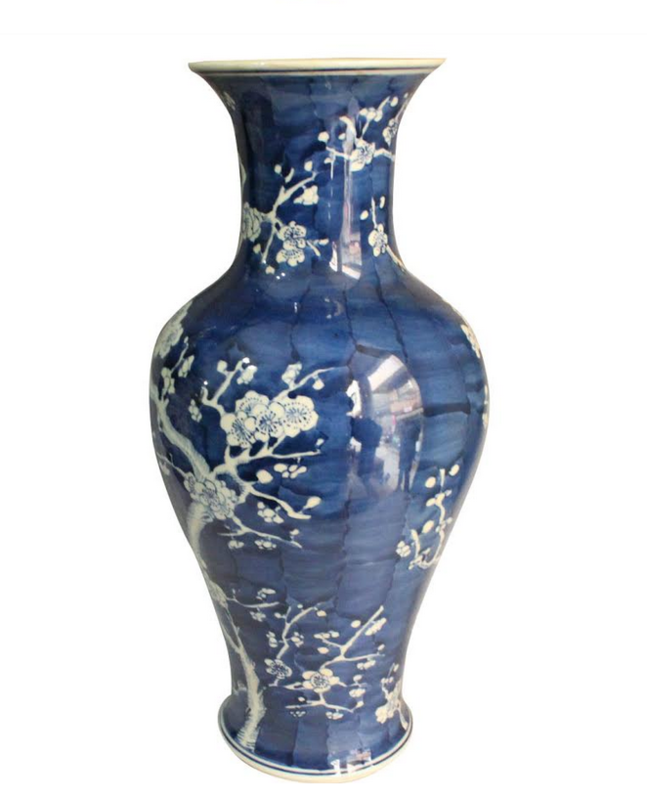 The cherry blossom vase definitely is a favorite. It’s similar to a favorite lamp that’s been in my family for years. 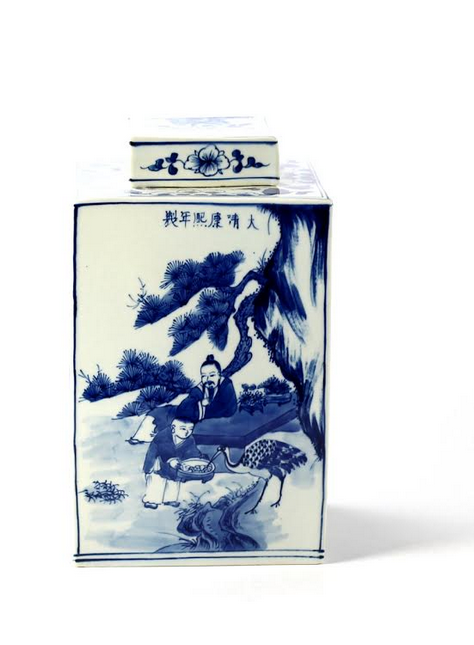 The pair of figurine square tea jars are my favorite in this collection. However, all the pieces are very special, Tina. I’m with you on #11! 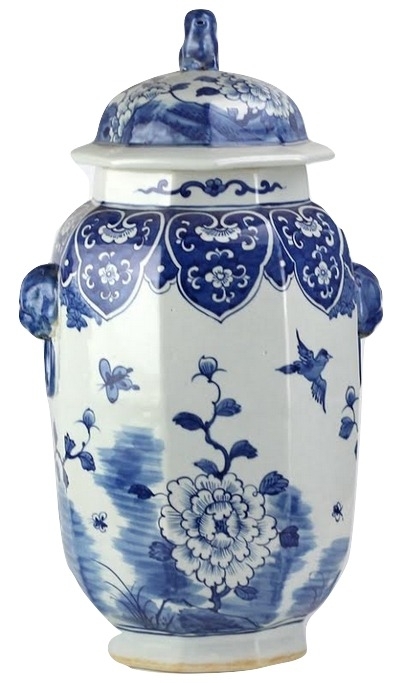 That ginger jar is the most beautiful one in your collection! 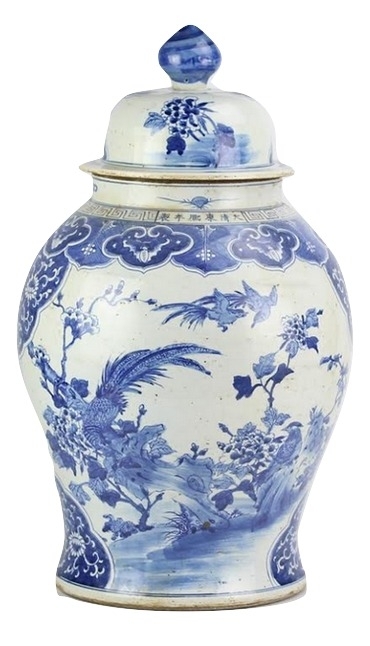 The cherry blossom vases are stunning! I just have to say 18 has been on my wish list for a very long time. So good to see it back! 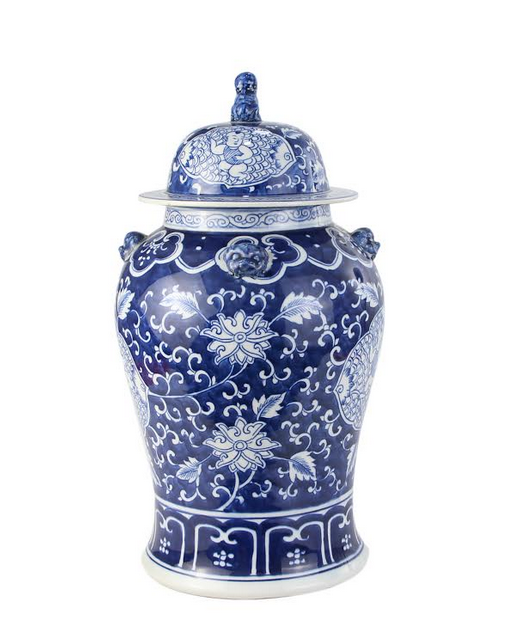 Love the Square ginger jars #4! Absolutely love Item 1 the new ginger jar and Item 2 fishbowl! Love the blue and white pumpkins! Love the mantle jar, #10. Seeing your new arrivals makes me so happy! Love the mid-size fish bowl! Everything is so lovely! Love them all, but 7B is one of my favorites. I purchased the pen/pencil holder. Though it appears white, it really is a gray. Was a little disappointed, but it is lovely. My absolute favorite is the jumbo fish bowl. But of course, I cannot resist those pumpkins. I love the pencil holders! 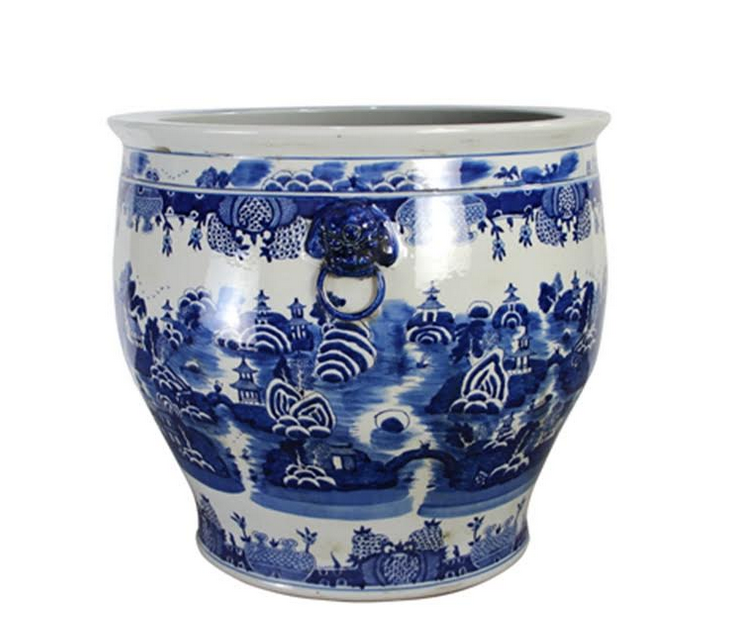 Always a wonderful selection of beautiful blue and white! Ginger jar #11! I’m thinking of adding a pair to my Christmas list! Beautiful as always! Love #2 and #6. So many fun ways to use all of your Blue and White . I’ve been eyeing the large bowl for a while. I think that is my next purchase from TEH! Waiting with baited breath for the salt shakers!!!!! I agree, # 11 , the pair of Ginger jars are perfection! 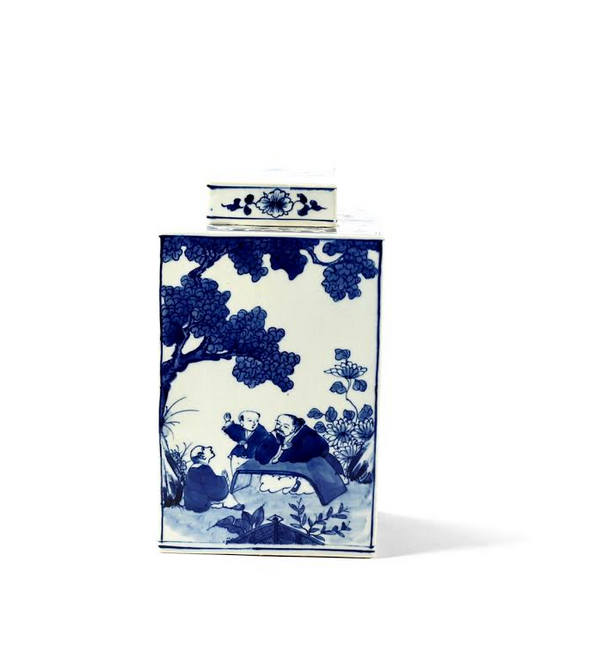 The giveaway small jar would be a great addition to a vanity set. Ooooops !!! forgot to mention I LOVE the garden seat! I just love the waves on the bottom and the dragon looks so friendly! Item 9. Garden seat of course, of course! I love that lotus utensil holder! So hard to choose- all soooo beautiful! Love that they are handpainted- the quality is evident! I love item #2 – I can see why it’s the all time favorite fishbowl! We are in the process of building an outside room. Giant jars would be perfect on either side of the outdoor fireplace in niches. Item 11 is my favorite! Picking one item is hard when you want it all! I would love to have a pair of item number 15 – the jumbo fishbowl! They would look amazing on my porch! The dragon garden seat is my favorite piece. It is so versatile, I can think of many ways to use it in my home. Jinger jar #11 is my favorite so beautiful!!!! Love the village scene jumbo fishbowl! I love the trio of blue &a white pumpkins. If the stars are aligned, I would like the lotus pencil holder, please! Love the pumpkins. All are unique. Hard to choose just one! Its very difficult to choose just one item! 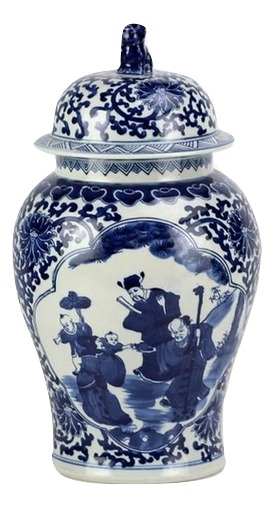 They are all amazing, but if I had to choose just one it would be the double happiness jar. It is spectacular in the picture…I can only imagine it in person! Love the garden seat and the lotus cup. Live the new ginger jar, item 1! Going to finally snag one of the large backordered bowls while I can!!! 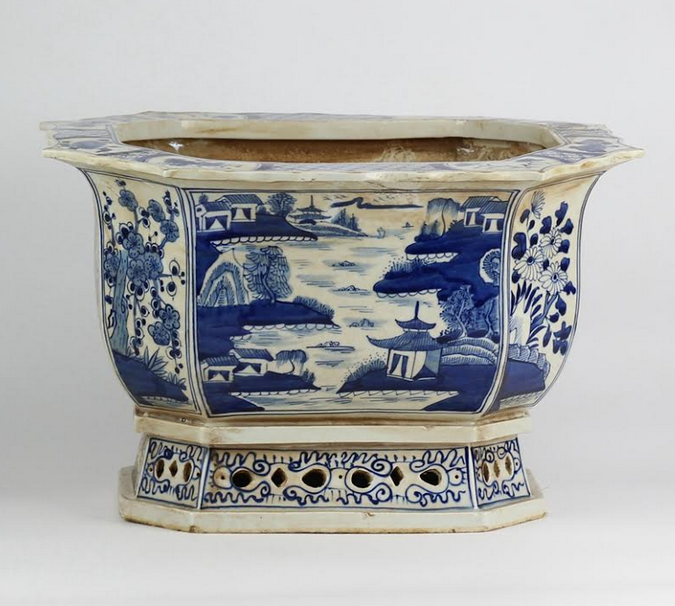 So many lovely pieces, but I am obsessed with that large Village Scene Bowl! Item 15 and 16 are beautiful! I need them……….Please share with Santa. The dragon garden seat will always be my favorite! So many ways to use…versatile and timeless! 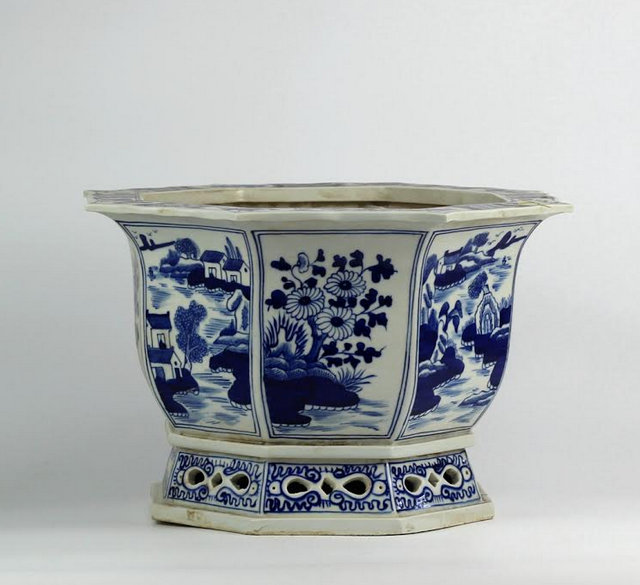 Brush pots and fishbowls – exquisite! 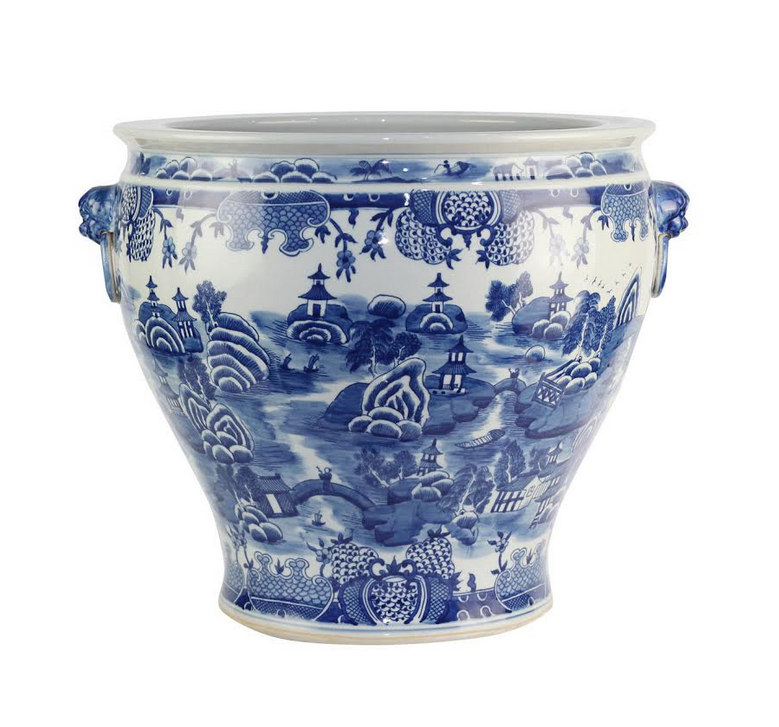 Love, love the figurine square tea jar & the dragon garden seat! All of these pieces are lovely… but my three favorites are #2, #6, and #18! I really like #7B the scalloped pierced planter. It has an old world, antique feel. Very beautiful. I love the giant fishbowl. It would be so pretty in my sunroom with a palm. So many new loves! I actually like the pencil cup. But my favorite this go around is #9 the garden seat. I really like the design they painted on this . My birthday is in February, but might have to treat myself. No tricks! My fav? 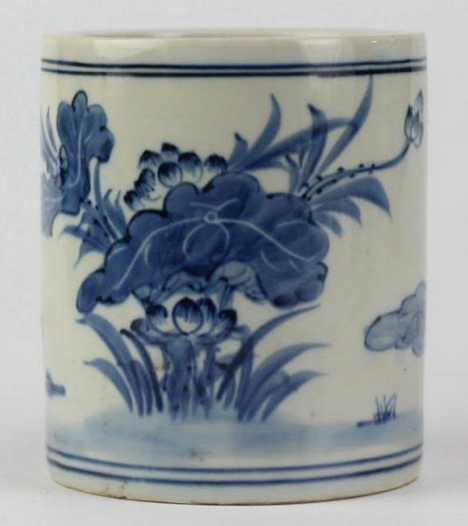 Has to be the navy cherry blossom vase. So elegant, so classic…will never go out of style! Item 10 would be perfect displayed on the mantle. What beauties. Item 2, the fishbowl is so special and would be the perfect touch in so many places! I can see it filled with jumbo pinecones, ornaments and magnolia leaves for the holidays. Item 2, the fishbowl is so special and would be the perfect touch in so many places! I can see it filled with jumbo pinecones, ornaments and magnolia leaves for the holidays. There are many other “favorites” as well! I keep missing out on the large bowl. I hope I can get in line for one in the next shipment. LOVE every piece I have bought from you!! The pumpkins are my new favorite- so unique! 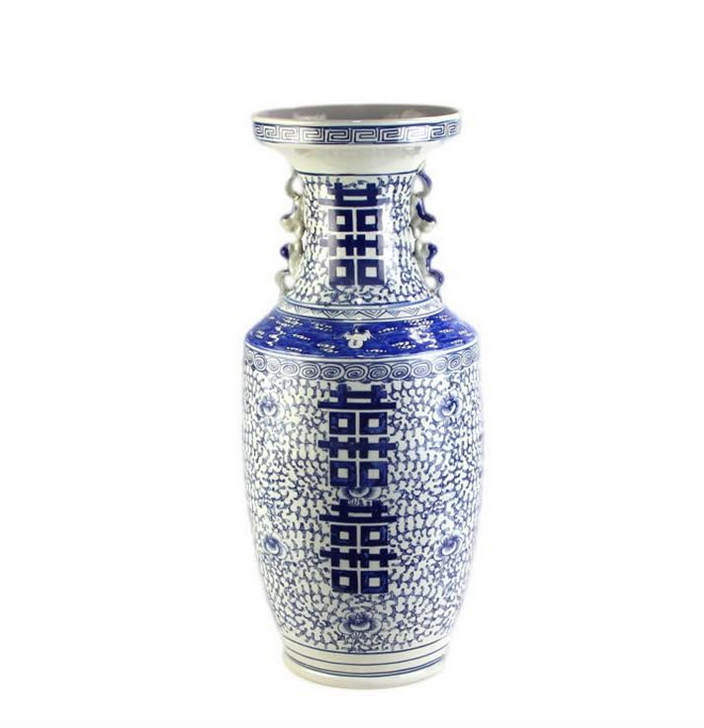 I love item 11, the gorgeous ginger jars! Of course, I LOVE the pumpkins!!!! Can’t wait till my pumpkins arrive. I could sit on the garden seat to wait for them. Wow – all are gorgeous! Especially love #11 and #18! The pumpkins are gorgeous! I love the designs and colors! I do love that garden seat! 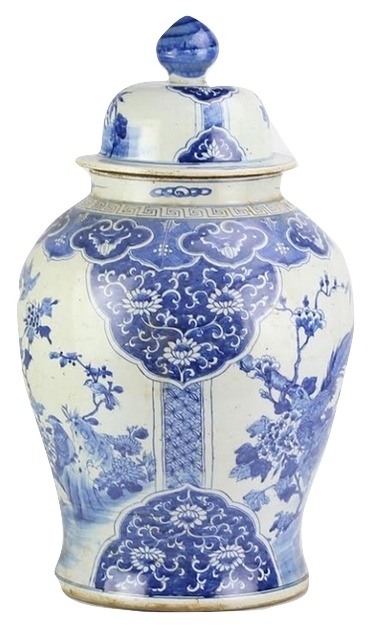 I love the very large ginger jars for the sides of my Sheraton sideboard in the foyer. Extra special! The pumpkins and the giveaway containers (pen/brush/utensil holders) are my favorites! Everything looks great! I love everything as usual!! 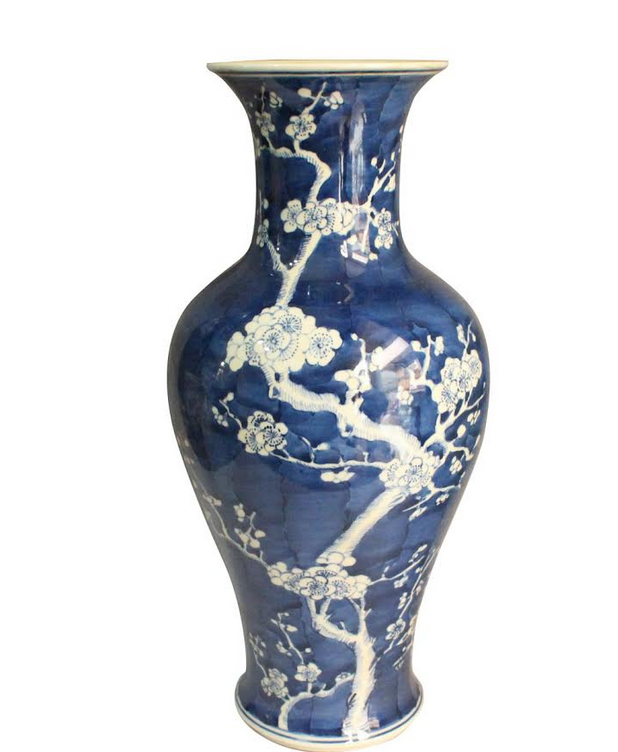 Item #17, the cherry blossom vase is absolutely beautiful! Love the giant fishbowls! Enjoy reading your beautiful blog and I’m hoping I win the figurine pen holder! I like #13 and #16. Thank You for the giveaway. Love #16- the size and the depth of color! 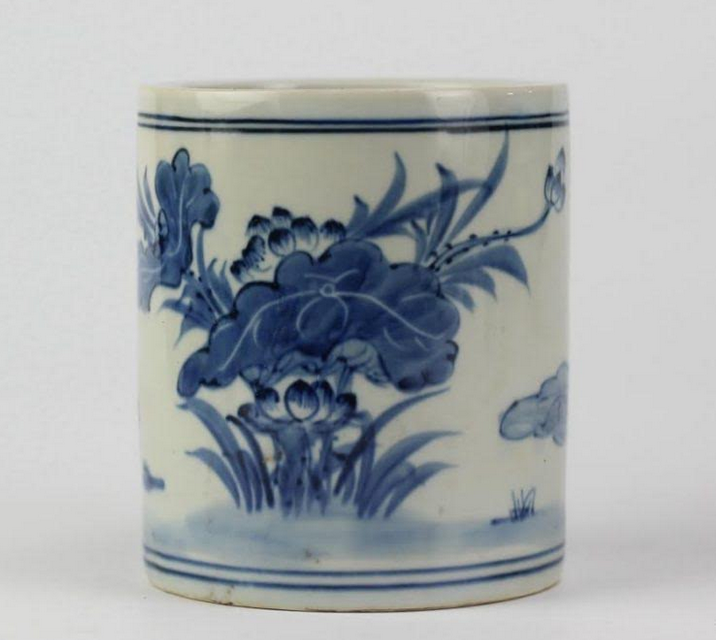 The lotus cup is my favorite piece and the one I would choose. Item #13 is a unique design, I love them all. 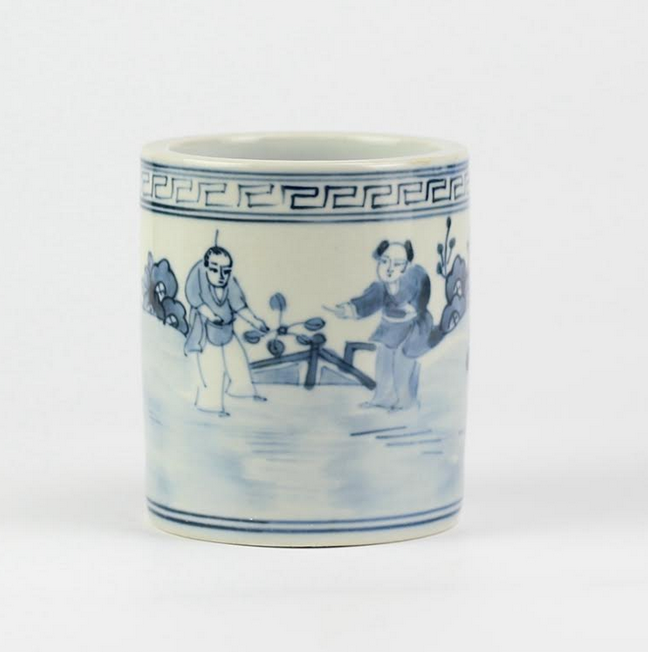 I love the new pen/brush holder cups, especially the one with the figures depicted on it. 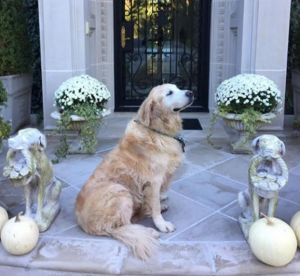 I love the pumpkins and the garden stool. Though they are all very beautiful. 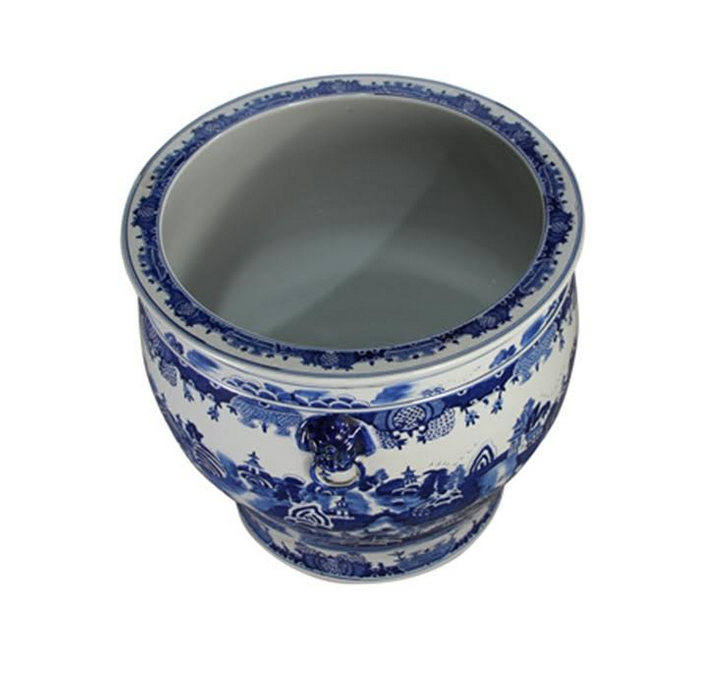 Who can resist blue and white porcelain. 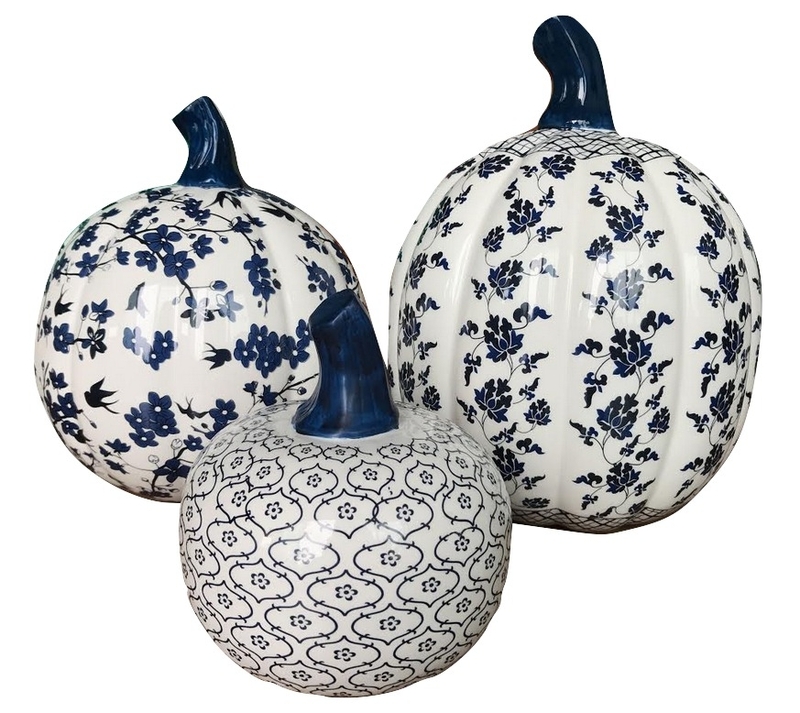 Have to have the pumpkins to add to my blue and white collection!! Lovely! The Fish Bowls are a great size! And so versatile. 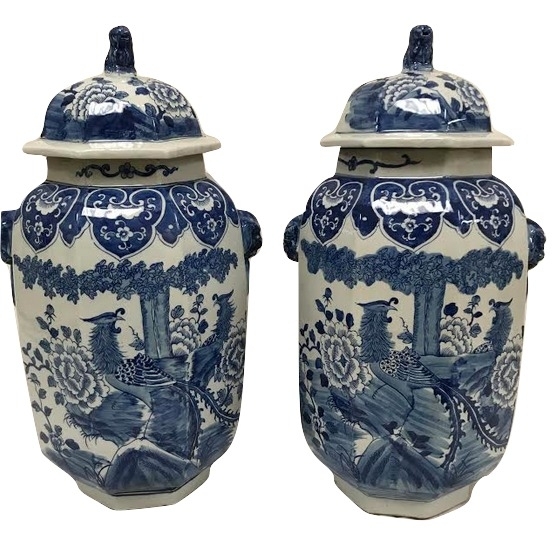 A pair of item #18 ginger jars, fantastic! I love the pumpkins! Great to have some blue and white for autumn! HAPPY HALLOWEEN!! I have been fawning over #6. Always excited when I see your emails! Love all the ginger jars! I just LOVE the pumpkins for fall! What a great unexpected color palette of blue/white with rusty orange and yellow leaves……swoon! Love the dragon garden seat. I use the Lotus for utensils in my kitchen. Lovely little piece! Waited for #18 to come back in stock and I got a pair. 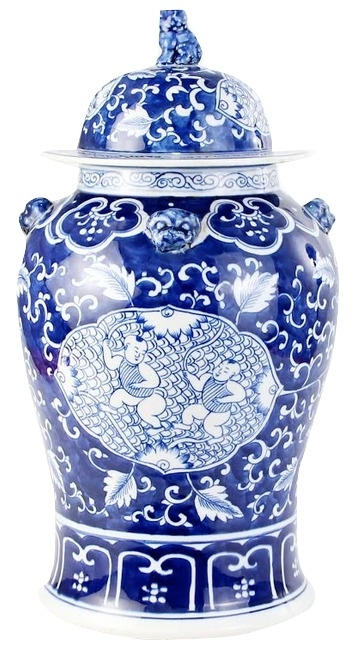 They are magnificent and a great addition to my blue and white collection.! The dragon garden seat is at the top of my list right now! Want the large fishbowl with a Christmas tree in it! I love, love, love item #11. I would love to have a pair of them to place together under my dining room sideboard. I love the dragon garden seat! I will return – probably sometime tomorrow afternoon! Was eyeballing these mini cups anyway! I must not be the only one who loves them, since they’re the prize! Really enjoyed your photos of Savanna! My favorite is # 13! Lots of beautiful pots. Item 6.I LOVE your best selling extra large bowl. It is a great size and has so, so, so many uses. The village scene is gorgeous.